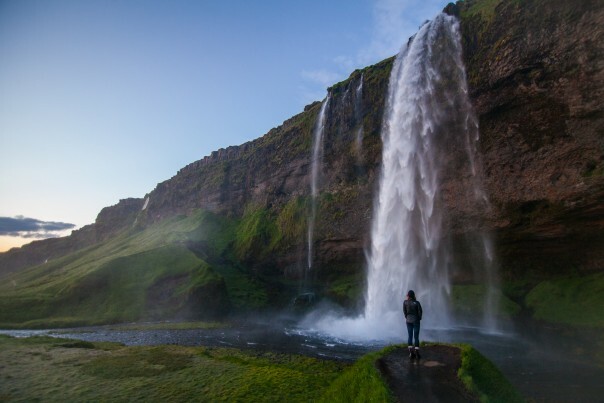 How does one even put into words the beauty and magic of Iceland? Honestly. I've been home from my beautiful adventure to Iceland for some time now, but I've struggled to find the voice that I wanted to have as I shared this with all of you. I want to share the beauty we got to take in over the four days we spent driving across the south part of Iceland! But of course, I want to share with you the Gluten Free Eats we found along the way and any healthy travel upgrades I might have been able to put to use on this adventure. The sweetest memories come with an adventure like this of course, so luckily I was traveling with my incredibly talented photographer boyfriend, Taylor (which makes all of the moments even sweeter sharing them with him), and with that, I have plenty of beautiful pictures to share these memories with you! 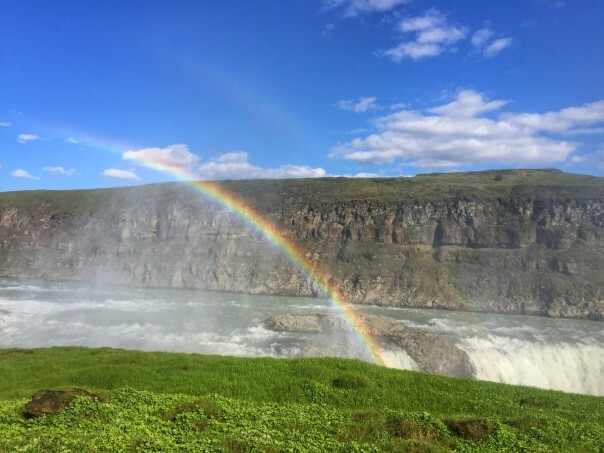 So, dear Reader of any kind (picture lovers, gluten free eaters, wanderlusters), I hope you enjoy revisiting these magical moments of Iceland with me. 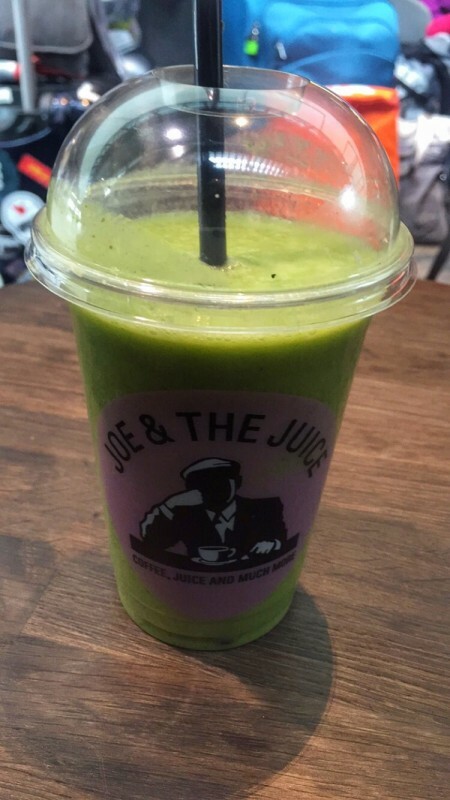 Joe & The Juice. This is where Iceland first grabbed a hold of my heart strings and started romancing me. You might be laughing, but I'm being serious! haha. ;) After a full day of travel [not too far as Iceland is only 5 hours from Boston! So about ten hours from California, give or take], food was very much needed, but not just food, fresh food and greens! 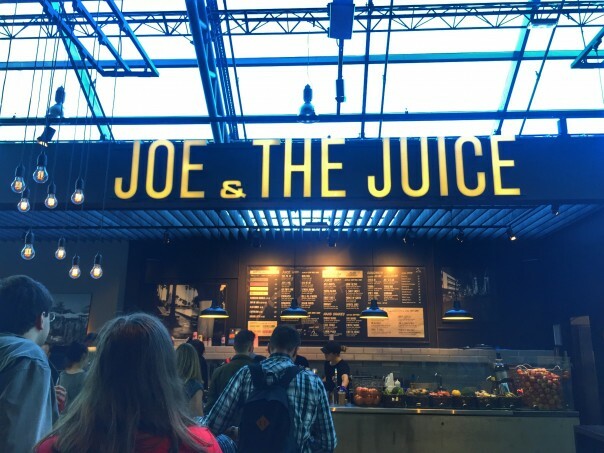 Joe & The Juice sits right outside of customs before you leave the Keflavik Airport and begin your Icelandic adventure. It's the perfect spot to recharge any weary traveler with a fresh juice, smoothie, coffee, or even a sandwich. And Gluten Free friends, they make sure that you will be fed too! I was honestly shocked to find that they had gluten free bread, it made my heart so happy. I ended up ordering a green juice [pictured] and a Gluten Free Turkey sandwich + Spinach [not pictured, because I devoured that sucker so fast ;) ], Taylor ordered some yummy fresh juice as well… but I was too busy focusing on my own food to take note of what he was actually drinking. 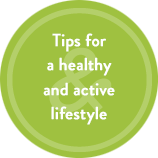 Somehow we both skipped the coffee, but I do wish that I had bought another sandwich for the road, so gluten free readers, I do suggest doing this. Once both of us were re-charged, the rental car picked up, we were off and out the doors of the airport to see Iceland. 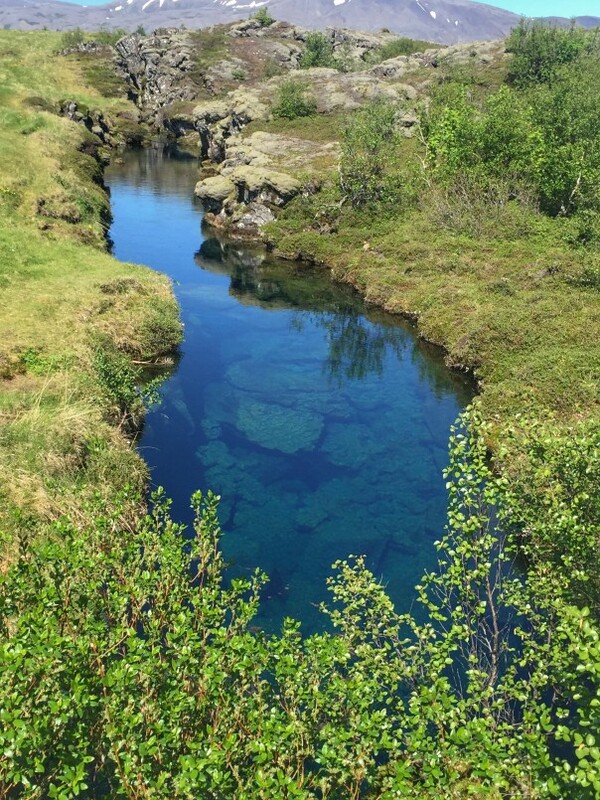 The Golden Circle. Where we began… The popular drive called "The Golden Circle" where you can see some of South Iceland's primary landmarks. This was a bit of driving for our first day, but there was no way we were going to fall into the arms of jet lag, so this was the perfect way to get started, and it led us straight to our airbnb in the end. 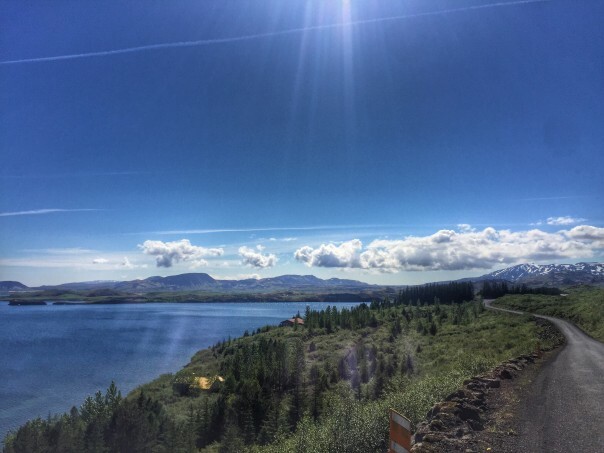 When we left the airport we set straight out towards our first landmark of the Golden Circle, but before we even reached that first destination, the majestic landscapes had lured us down a side street where we found sparkling waters, gravel roads, Icelandic Horses, and sheep… lots of sheep. More on the animals later. Honestly, pictures just don't do it justice, especially my iPhone picture [above], because you may think this looks like somewhere you've seen before, but really there's something about it that is absolutely magical and truly does set it apart. Þingvellir National Park. Our first Golden Circle destination. We (or I) were a little confused of what we were looking for as I thought it was one specific landmark, but it's a beautiful national park (which is a perfect spot for walking and stretching that jet lag off). We were caught up in the beauty of it, but honestly this is the one spot where we both feel like we spent a little too much time… because I was on the search for the "specific landmark" I was so sure existed. Haha. Several people do choose to go diving here in these clear waters [like pictured above] where I believe the tectonic plates that connect North America and EurAsia meet (don't quote me, we still have a lot to learn about where we were and what we saw), and that would've been a fun add on to our sightseeing by joining for a diving adventure. These clear pools of water is what I had been looking for the whole time, so when I saw this deep pool of water [picture above] I was content and okay with heading onto the next destination. By the way, that picture above is of a very very deep body of water, even though it looks super shallow, that's how clean and clear it was. 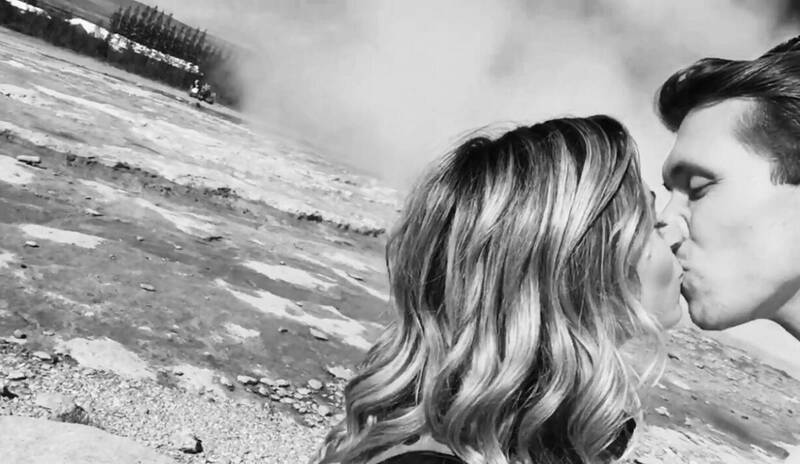 Geysir. 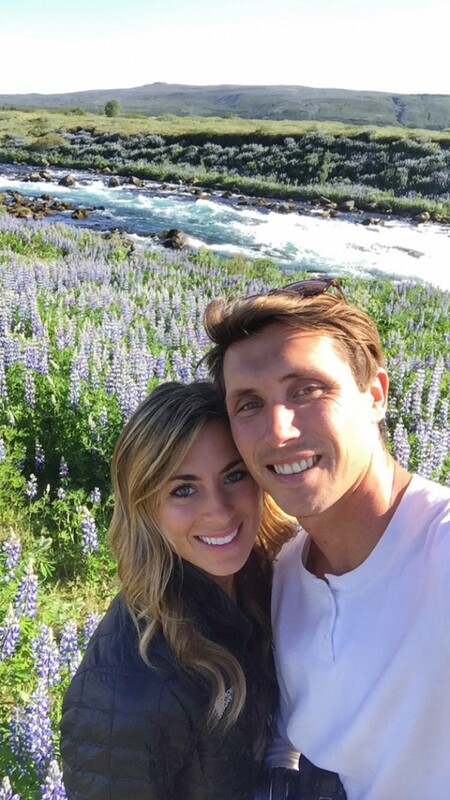 Our next stop was this geothermal park that basically sits over a "boiling cauldron", which just blows my mind! 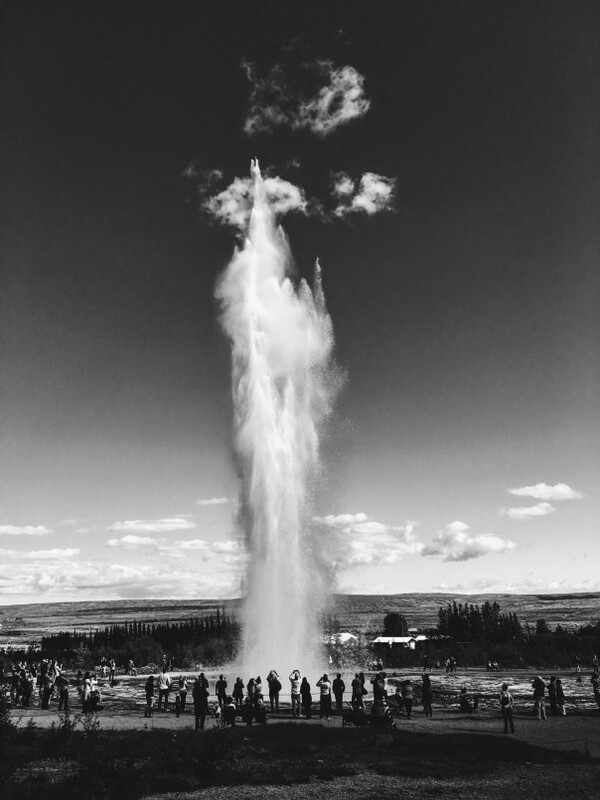 Just like we're familiar with here in the US, with Yellowstone's Old Faithful, this "geysir" spouts high into the sky every 10 minutes or so. It was spectacular. Sweet Moment. I just have to mention how special it was to be standing in these absolutely breathtaking locations with this sweet man. I couldn't have ever imagined him existing, and I pinch myself everyday. I will forever remember this specific moment [above] of this surprise kiss that he captured. Dinner. There was a tourist center that looked like a log cabin at Geysir with a few options for food. We decided to go ahead and have some dinner, our tummies had no clue what time it was, but just in case that was our last chance for food for the day, we went for it. Taylor ordered himself a pizza, which was sounding really good to me at that moment, so I went ahead and asked if there was a way that they could just do some meat (salami) and cheese for me on my own plate. And they delivered! I pulled my gluten free crackers out of my little Travel Snack stash and it was perfect. Too Beautiful. 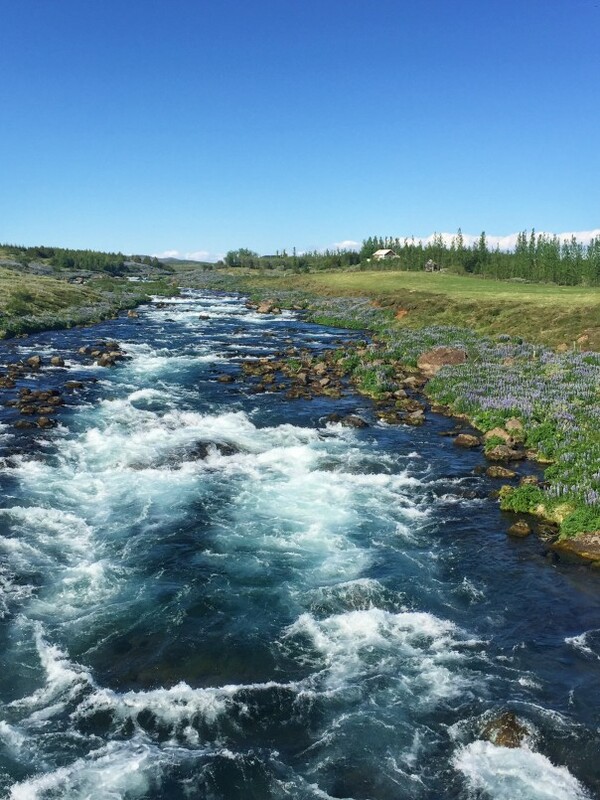 I don't think we had even driven five miles when we decided to pull over to get a closer look at a beautiful river (I swear it was blue), gorgeous purples flowers, and more Icelandic horses. Stunning. 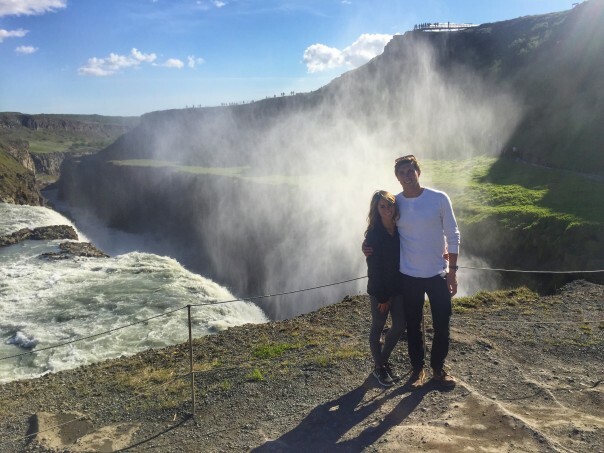 So if you're planning a trip to Iceland, plan extra time to pull over a lot! This was only our first day, and little did we know that it was going to continue to get more beautiful. Sunset Drives. After we finished our Golden Circle Drive we checked into our sweet little farmland cottage in the town of Hella that we found on airbnb. We both had hoped to keep going and see a few more things, but we were absolutely exhausted. Our bodies were especially confused because the sun was still bright in the sky as the month of June is about 24 hours of daylight. Being somewhere for 24 hours of daylight was actually on my bucket list, so this was a part of the trip I wanted to make sure I took advantage of, but the struggle was real and we decided to get some shut eye. Luckily, we didn't sleep the night away and we both woke up around 1am and had just the right amount of energy to hop in the car and headed out for an endless sunset drive. These sunset drives became the highlight of the trip for me. 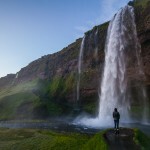 Seljalandsfoss. Breathtaking. This was the waterfall we were both so excited to get to see. It's especially special because you can walk behind this waterfall and from there we had the most beautiful view of the endless sunset sky [photo above]. And of course, for Taylor, this was a must for his eye as a photographer, and I loved seeing him in action [photo below]. Day One is a wrap. All of that was in one day. No wonder we were eventually zombies. Every second was worth it. 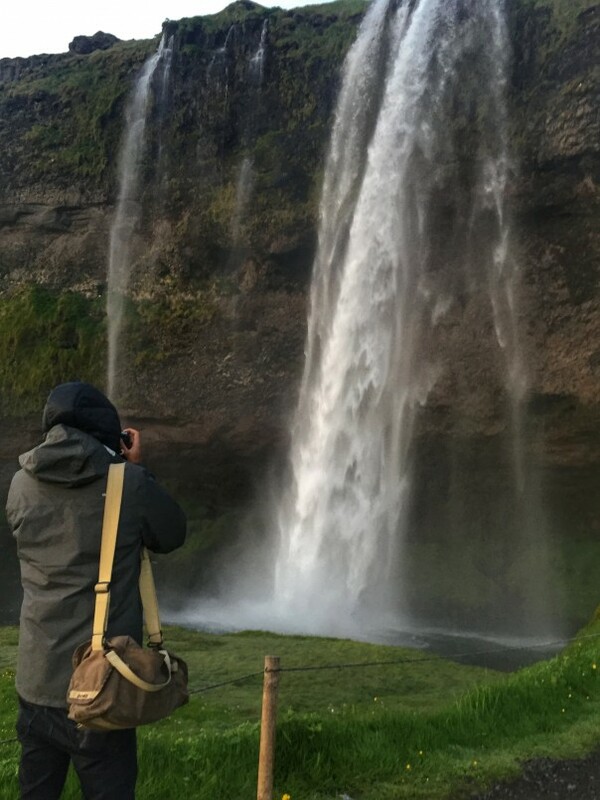 As I continue to share the rest of our time in Iceland, I think you'll see why we both ended up leaving in awe of how creative God is and how majestic His wonders are. 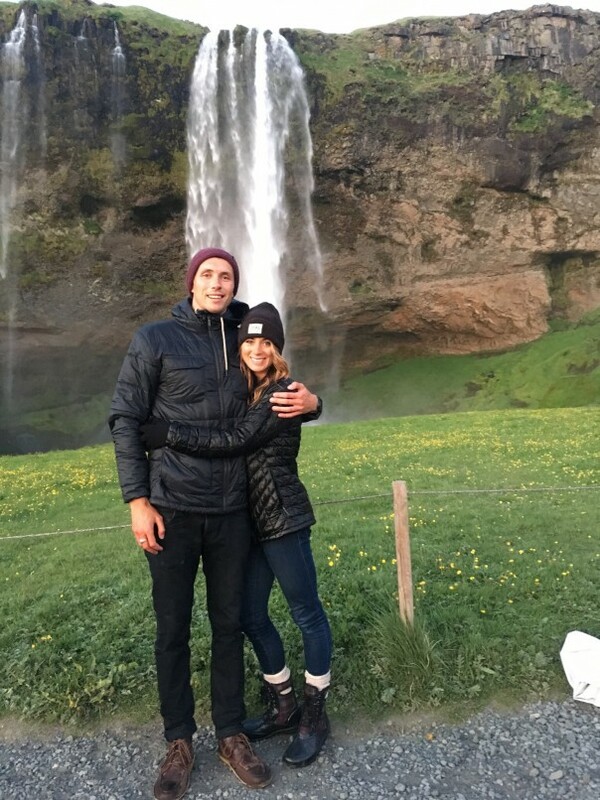 More of our trip to Iceland to come! Have any of you ever been or dream of going? What part of our travels would you like to know more about? I always love hearing from each of you, so leave a comment for me! Looking to go for our honeymoon, hopefully in February, just not sure if it will still be freezing, although , I don’t think it ever gets that warm, but how did you plan your trip? Did you use someone or a website to help? I leave for Iceland tomorrow! So excited! We went for our honeymoon last month and it was spectacular. 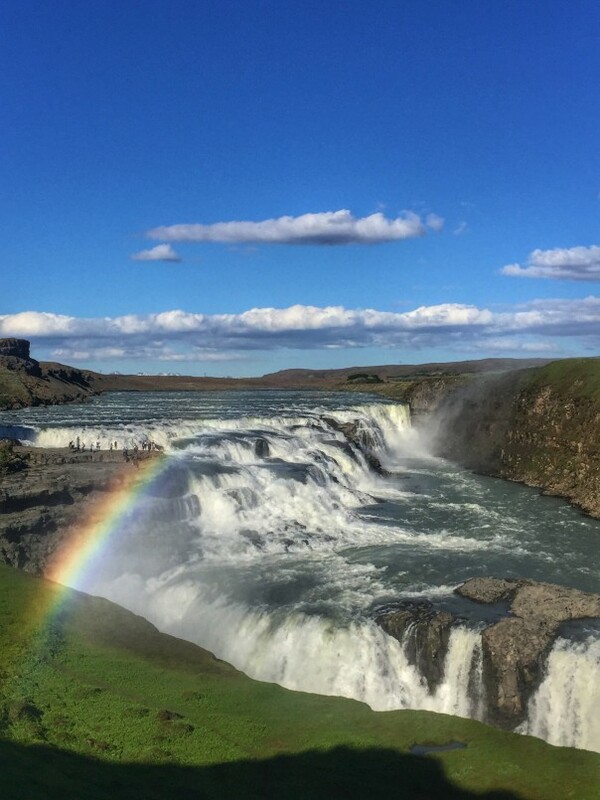 We actually didn’t do the Golden Circle tour, but we did see the last waterfall in your pictures here on a South Iceland Tour we did – it’s amazing that you went when no other people were there. Your pictures are amazing!! I look forward to reading more about your trip to see if you saw some of the other sites we saw. II especially loved the glacier tour and the snorkeling. Your pictures are amazing!!! What camera does Taylor use? 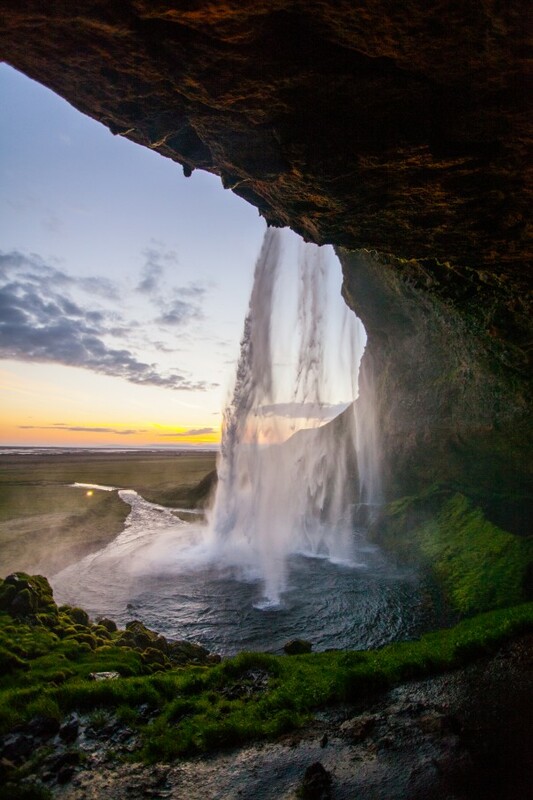 That waterfall/sunset picture is amazing!! Hi Tenley, can you tell us what city your AirBNB was located? We were in Hella for most of our time at a AirBnB! It was a good mid location. When we went to the Ice lagoon we stayed in Hofn.